The KZN Philharmonic Orchestra’s 2018 Summer Season has concerts in the Playhouse Opera every Thursday at 19h30 from February 22 until March 15. 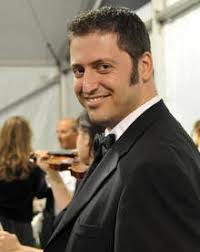 For its 2018 opening concert on February 22, 2018, the KZN Philharmonic welcomes the return of its Associate Guest Conductor, the dynamic Israeli-American, Daniel Boico, with a programme of three concert block-busters. Maestro Boico opens his programme exploring the high drama of Frantz Liszt’s famed symphonic poem, Les Préludes, before being joined onstage by the acclaimed young Ukraine-born pianist, Anna Dmytrenko, for a performance of Saint-Saëns’s dazzling Piano Concerto No 2 in G minor. Boico brings the evening to a close, delivering a powerful reading of Tchaikovsky’s Symphony No. 4 in F minor. Often referred to as the late romantic Russian composer’s ‘Fate symphony’, it bears fascinating synergistic aspirations to Beethoven’s Fifth, as can be heard in the similar device of the four-note motif which opens Beethoven's Fifth and the fanfare at the outset of Tchaikovsky's Fourth. Season tickets for the KZN Philharmonic’s World Symphony Series 2018 Summer Season are available through Computicket. Bookings for individual concert tickets through 0861 915 8000 or book online at www.computicket.com. March 8, 2018 at 19h30: Conductor: Arjan Tien. Soloist: Daniel Röhn, violin. Beethoven: Concerto for Violin in D Major, Op. 61. Beethoven: Symphony No. 3 in E flat Major, Op. 55, "Eroica"